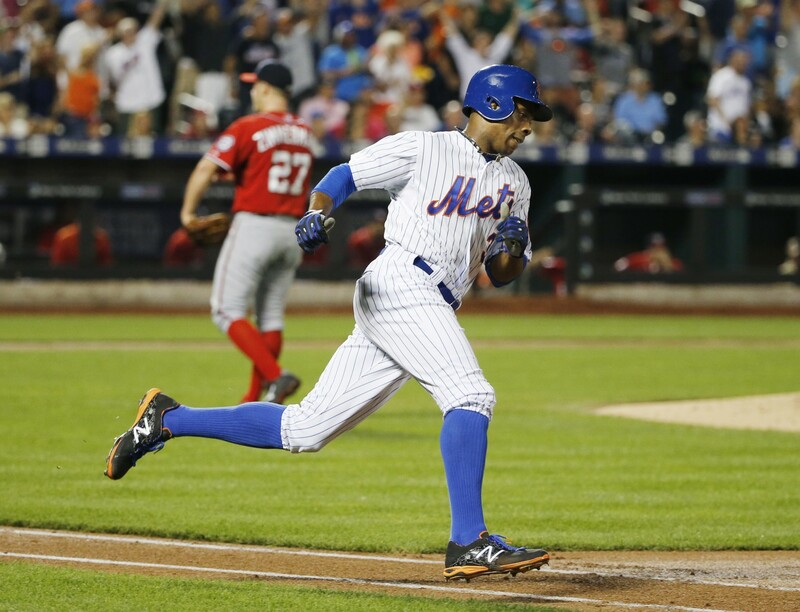 Saturday August 1st 2015: After the exciting dramatic walk off HR from Wilmer Flores the night before, Terry Collins Mets (54-50) were now just one game behind the Washington Nats (54-48). 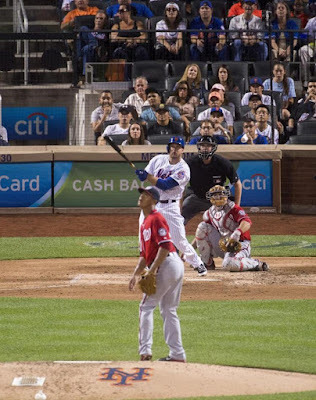 Mets fans were excited with a new boost of energy & 42,996 filled Citi Field with plenty to cheer about. Tonight was the debut of the new Mets slugger Yoenis Cespedes, playing left field & batting third. On the mound was Jacob deGrom going up against Joe Ross. 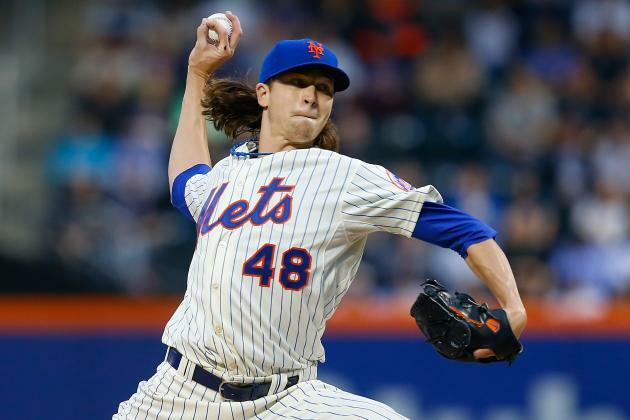 In the 1st inning, deGrom was shaky, two walks & a walk led to a base loaded two out situation. Ian Desmond singled in between second & short bringing in the Nats first two runs. 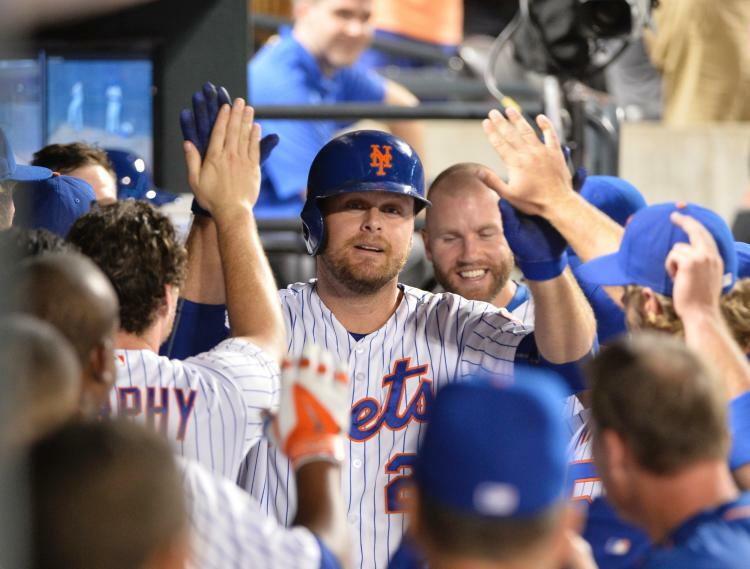 The Mets remained down 2-10 when Lucas Duda hit a solo HR in the 4th to make it a one run game. In the home 7th Duda came through again, leading off with another solo HR, his 20th of the year tying the game & bringing Citi Field to a huge roar. Duda was now on fire. In the home 8th, Curtis Granderson doubled, with one out Yoenis Cespedes was walked intentionally, bringing up Duda. Duda delivered again, doubling off the left field wall, giving the Mets the lead they would never give up. Jeurys Familia retired the Nats in order in the 9th for his 28th save. The Mets were now tied for first place & would never look back. In his debut Yoenis Cespedes went 0-3 with a walk. Sunday August 2nd 2015: The Mets & Nats played the weekend series finale, that would determine who was to be in first place. 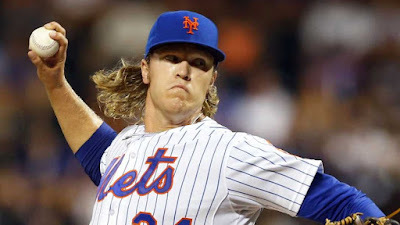 The Mets (55-50) looking for the sweep sent Noah Syndergaard to the mound against the Nats (54-49) Jordan Zimmerman. Syndergaard known as "Thor" in Mets world scattered seven hits over eight innings of work. Along the way he only gave up two runs & struck out nine while walking no one! In the 1st the Nats began with a solo HR from Anthony Rendon. 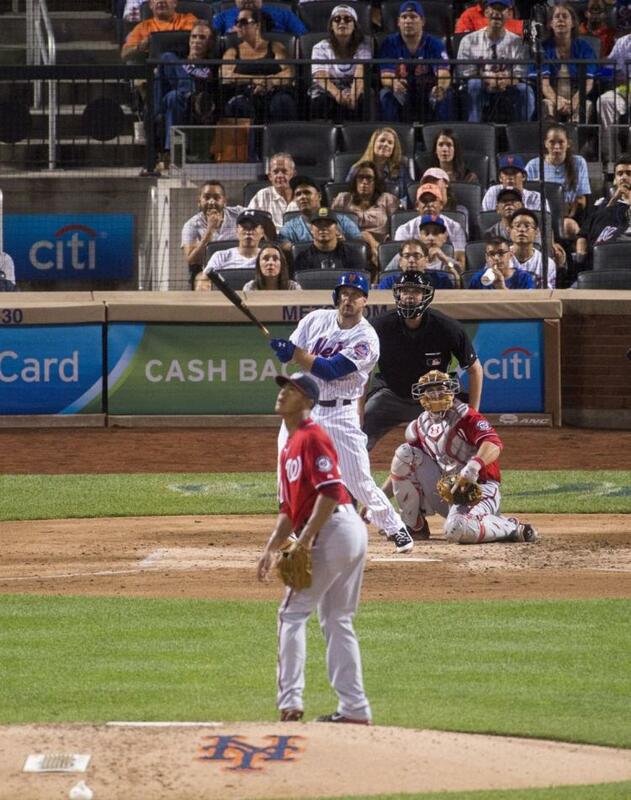 But in the 3rd the Mets attacked Zimmerman, Curtis Granderson & Daniel Murphy hit back to back HRs. 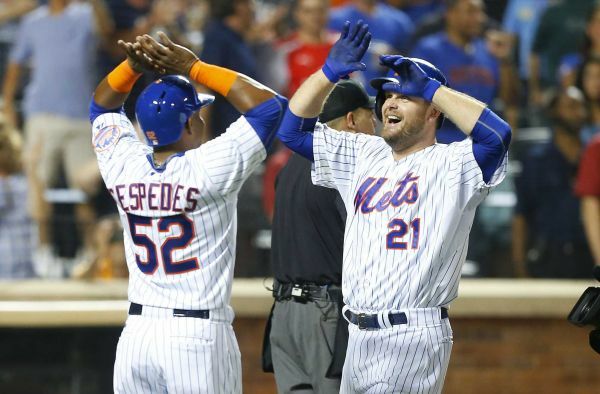 Two batters later after Yoenis Cespedes got his first career Mets hit (to a big ovation) the hot hitting hero of yesterdays game, Lucas Duda connected for his 21st HR of the year. 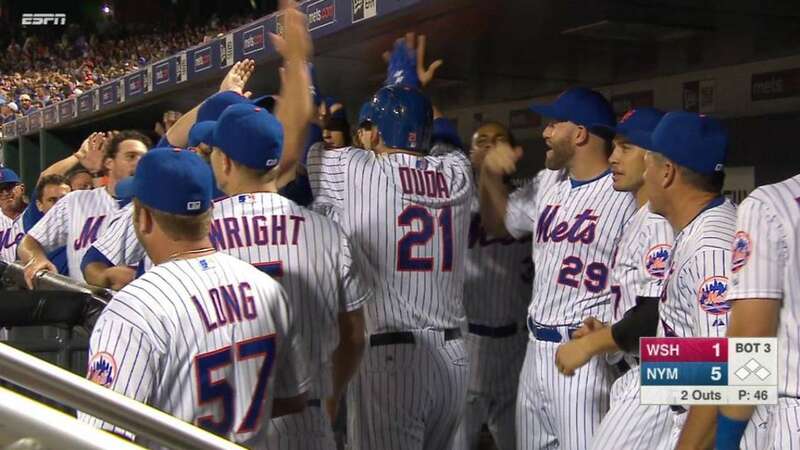 The Mets were up 5-1 & the crowd went wild as they went on to a 5-2 win. 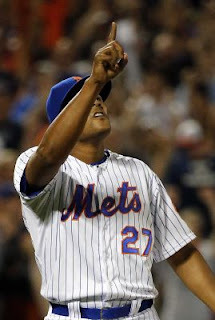 The first place New York Mets were up by a game & would never fall behind again.